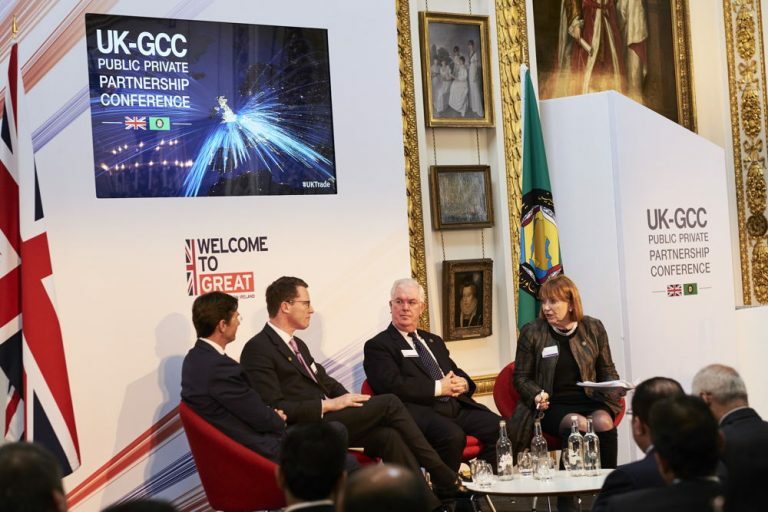 SBJBC members played a prominent role in the UK-GCC PPP conference which was opened by Dr Liam Fox MP, Secretary of State for International Trade and Rashid Al Zayani, GCC Secretary General at Lancaster House on 19 April. Saudi and other GCC speakers then outlined their national transformation plans. Baroness Symons, SBJBC UK Co-Chair, moderated a lively panel session on ‘PPP in the Gulf and the UK.’ John Davie, Chairman of Altra Capital, presented a summary of a PPP Lessons Learned Paper prepared by SBJBC’s PPP Working Group. Other speakers included Matthew Vickerstaff, Deputy CEO of the Infrastructure and Projects Authority and Shaun Carter, Carillion Group Head of Strategy. Please see the PowerPoint slides of John’s presentation, and also a video containing highlights of the event.